Why do Arctic riders RIDE MORE™? Some say riding lets us be heroes of our own adventures. From the moment we fire up our engines and take to the trails, we become the thrill‑seekers we were born to be. With great power and great cornering ability comes great responsibility. You see, when we’re not hammering the throttle on the racetrack, we’re hammering it in the workshop. Figuring out ways to improve on 50 years of refinement - one breakthrough at a time. That’s how we move the speedometer forward. Always have. 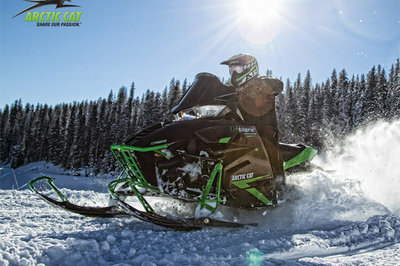 Continue reading for more information on the Arctic Cat ZR 9000 El Tigré. 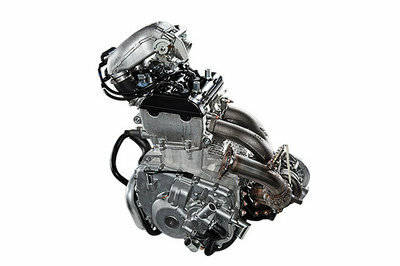 This turbo produces an industry-leading 177 HP at any altitude. The response is instant. Power delivery is smooth. 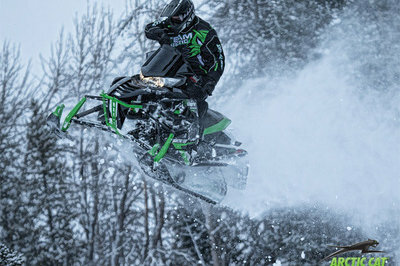 Electronic fuel injection means starting your sled will be effortless, even at the highest elevations and coldest temperatures. 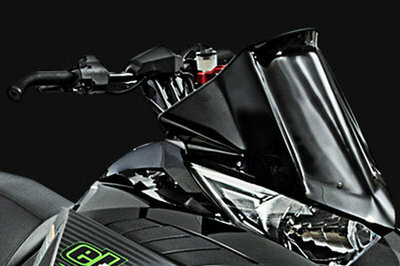 This chassis excels at bringing weight-saving technology to the performance-obsessed rider. The ProCross™ features a tapered two-piece tunnel design. Narrow at the top, wider at the bottom. 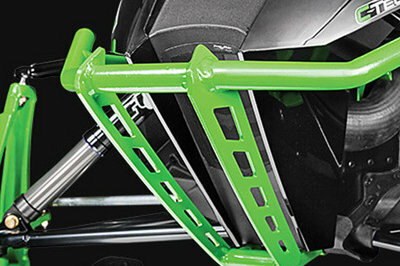 A forged steering housing ties together many of the load-bearing chassis components. Select models come standard with an electric-heated seat, adding the ultimate level of comfort and warmth. The Sno Pro® brake lever is made from anodized aluminum and extends the whole width of the left handlebar grip, allowing you to reach the lever no matter what position your hand is in. Snow spray being thrown up on your back on a wet day is sure to cut your day short. These tunnel flares keep the wet snow away and extend your day on the trail. 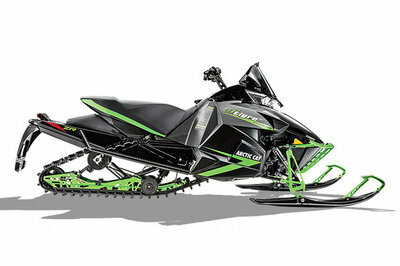 Features aggressive angled-lug profiles for outstanding forward and lateral traction on groomed trails. Its “chopped” lug design delivers excellent handling, acceleration and braking on hard-packed surfaces.